The first order of business when starting any new hobby or craft is to gather the supplies you will need to get you going. Something that I can appreciate about cross stitch is that it can be a somewhat inexpensive craft to get into. Of course, as with any craft, it's possible to spend a lot of money building up a supply of thread and cloth and tools, but just to get started you won't have to spend too much. 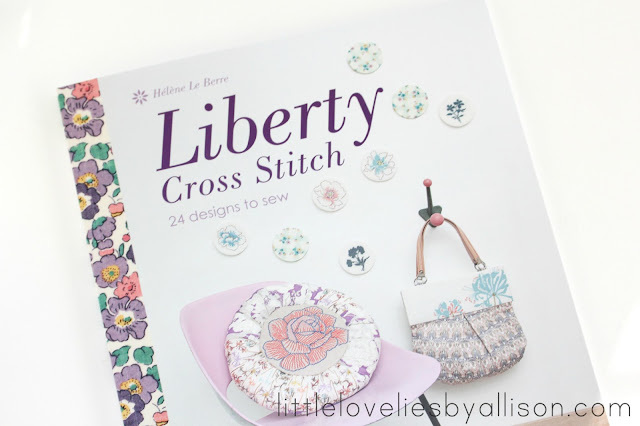 Let's go over the few essentials you will need to get stitching. The most common thread used for cross stitch is 6 strand cotton embroidery floss. There are a few brands out there, but a commonly available brand is DMC. Normally two to three strands of thread are used while stitching, depending on what you prefer. 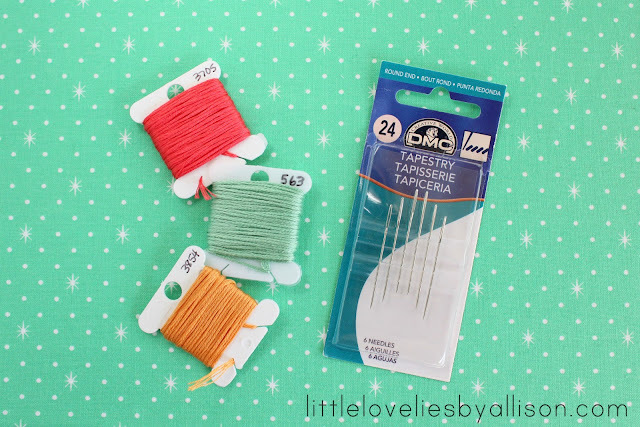 As for needles, you will want size 24 or 26 tapestry needles. Tapestry needles have a more blunt tip so the thread doesn't get snagged or split as you are passing your needle through the holes. Typically, you will use a size 24 needle for 14 count Aida, and a size 26 needle for Aida fabric with a count greater than 14. While you don't have to display your finished work framed in an embroidery hoop, it is usually recommended that you use a hoop while you're stitching to help you keep an even tension through your stitches. Once again, I think whether or not a hoop is used can be a matter of preference. 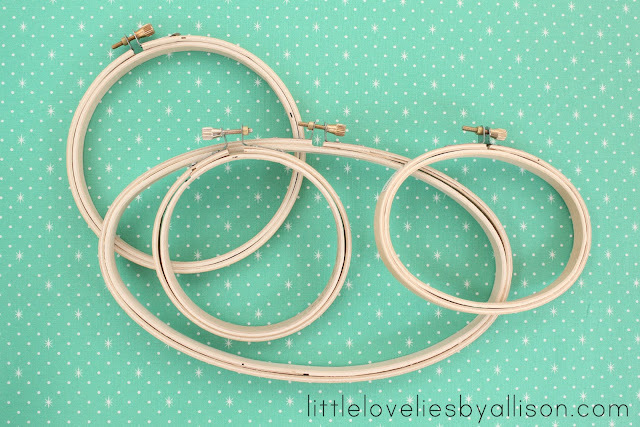 I do use a hoop and find that it helps keep my stitches even, my work cleaner, and is just easier to work with. Once again, not an absolute essential, but pretty close. 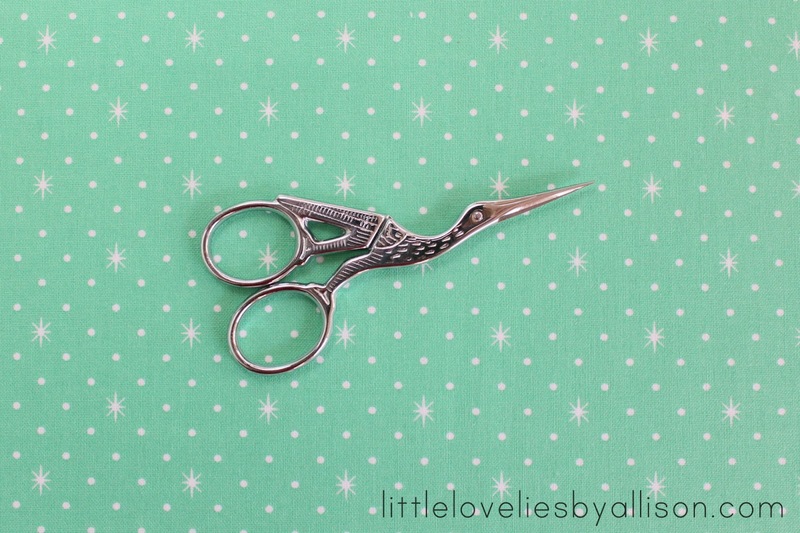 In cross stitching, there are often tiny threads that need clipped that big scissors just can't get to. These also come in handy if you need to pull stitches out. They have a tapered point that is easy to slip under a stitch to undo it. The small size is also great because you don't have to haul around a huge pair of scissors while you work. 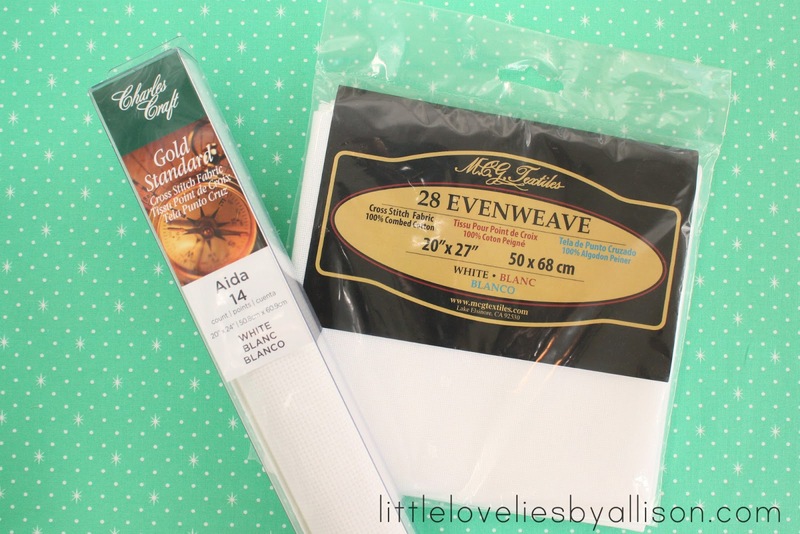 The two most common textiles to use for embroidery are Aida and Evenweave. Let's take a closer look at the two fabrics. Aida (on the left) is a stiffer fabric and is worked one stitch per square. Evenweave (on the right) is similar to linen and is worked over two threads, as you can see illustrated above. 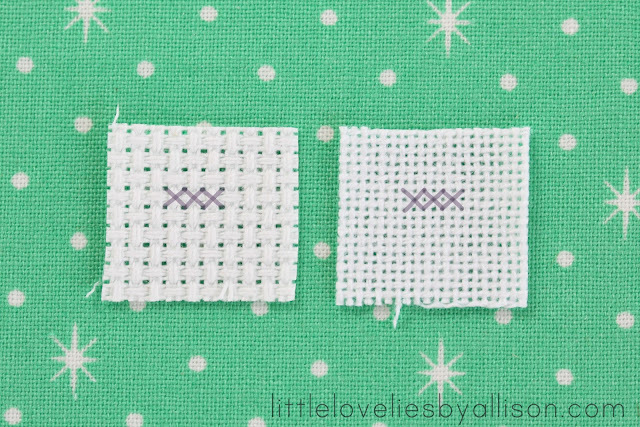 These two kinds of fabrics are defined by number of stitches per inch - their count. (See the packaging on the first fabric picture above.) In the case of the 14 count Aida - 14 stitches per inch. In the case of the 28 count Evenweave - also 14 stitches per inch since the stitches are worked over 2 threads. Confused? If you are a beginning stitcher, I would start with the 14 count Aida. You don't have to worry about counting over two threads for a stitch, the stiffer texture of the fabric is easier to work with, and it is a bit lower in price. When it comes to fabric, you can also cross stitch on other fabrics with the help of waste canvas or water soluble canvas. I will have a whole post devoted to this method later on, so I am going to skip over it for now. You'll also need a pattern to work from. There are countless patterns available, from books, etsy shops, and magazines. 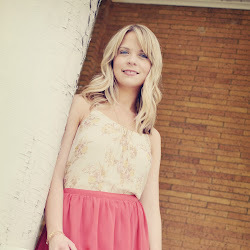 I'll be sharing some of my favorite pattern sources in a dedicated post, so we'll skip over this too. There you have they very basics of what you will need to start cross stitching (and also a hint of some of the posts to come). Have any questions or suggestions? Leave them in the comments and I'll do my best to answer! (Like what you see? I would love for you to share! I used to cross stitch as a kid but haven't done it in years and years. This really brings me back to my mom teaching me and how much I enjoyed picking out my patterns and trying to keep the back of my piece looking as nice as the front. I also have to mention how much I LOVE this scissors!